Paul Hobbs has a colorful winemaking background. He studied pre-med at Notre Dame University but after joining a wine tasting club, switched to a career in winemaking. After studying at University of California, Davis, he rose to notoriety at Robert Mondavi, Simi and Opus One in the mid-1980s, subsequently made wine in Argentina (Catena), consulted for Peter Michael, Fisher, Lewis and Chalone, and was involved in a winemaking project in Hungary. He started his namesake label in 1991. In 1998 he planted his estate vineyard, Lindsay Vineyard, located near Graton in the Russian River Valley and named it in honor of his father. The 14-acre Lindsay Vineyard is planted to three rootstocks and five clones of Pinot Noir. In 2003 he built a gravity-flow winery overlooking this vineyard. Paul owns the 452-acre Goldrock Estate located in the true Sonoma Coast. He purchased the vineyard in 2016. It is carved out of dense forest, stretches over rolling terrain, with slopes as steep as 23 percent. It is situated on the second ridge inland from the ocean, about 5 miles from the coast. 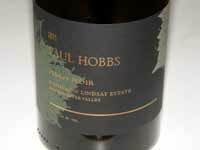 In 2004, Hobbs was named "Most Important Winemaker in California" by Robert Parker, Jr. He currently has fifteen winery clients he consults for in the United States (including Pinot Noir producers Chalone, Stewart Cellars, Guarachi Family and Walker Station), thirteen in Argentina, three in Chile, three in France, and one each in Canada, Uruguay and Armenia, and has been looking at Ensenada, Mexico and China. He launched Vina Cobos in Mendoza, Argentina in 1999, as one of the first to recognize the winemaking potential in this country. 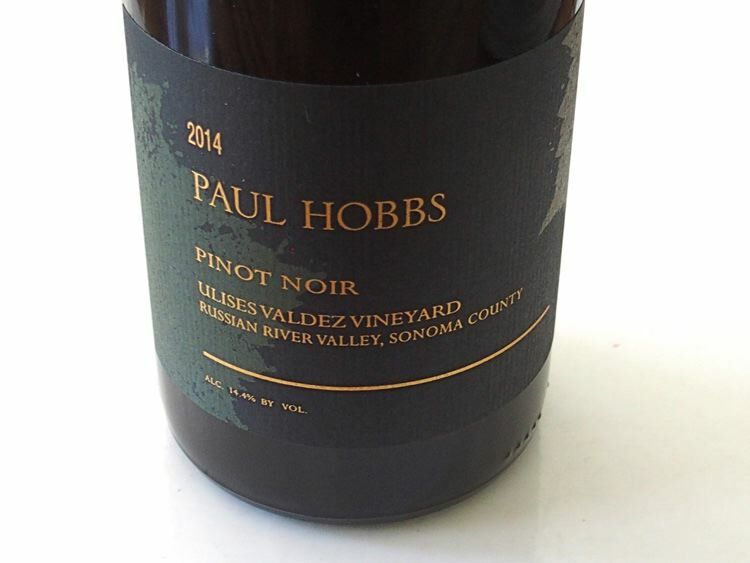 The Paul Hobbs Pinot Noir lineup includes a Russian River Valley appellation blend, a Ulises Valdez Vineyard (UV-SL) Russian River Valley Pinot Noir, a Lindsay Vineyard Russian River Valley Pinot Noir, a Goldrock Estate Sonoma Coast Pinot Noir, and a Hyde Vineyard Carneros Pinot Noir. There is also small-lot, vineyard-designated Chardonnay and Cabernet Sauvignon. 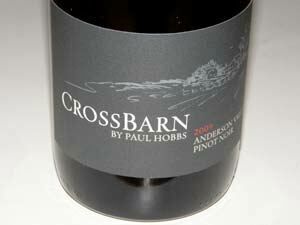 A second label, CrossBarn by Paul Hobbs offers appellation blends at lower prices. Both Paul Hobbs and CrossBarn wineries produce Pinot Noir, Chardonnay and Cabernet Sauvignon, and are located in Sebastopol for which fruit is grown in both Sonoma and Napa counties. Paul Hobbs Winery produces about 15,000 cases per year. CrossBarn produces approximately 15,000 cases per year, and Vina Cabos imports approximately 30,000 cases per year to the United States through Paul Hobbs Imports. Paul Hobbs Imports also imports Alto Limay Pinot Noir from Patagonia, Argentina. Named after the neighboring Limay River, Alto Limay draws snowmelt from the Andes Mountains to water the vineyards in the geographically semi-desert area. Sandy, rocky soils are situated on a foundation of limestone, resulting in thick-skinned Pinot Noir with aromatic depth and silky tannins. The wines are sold primarily through a mailing list. Tours and tasting are available by appointment to mailing list members (707-824-9879x21).